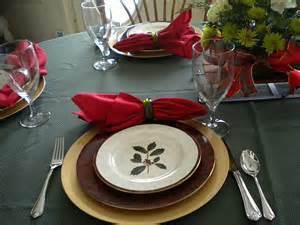 And we all sat around the dining room table, dressed in Christmas finery, done in colors of bright red, with sunlight drenching the room. We laughed, sang, ate highly caloric food, told stories, exchanged gifts, and celebrated the birthday of a dear friend and our Lord Jesus. Each one of us commenting on the best part being, that we were together. Our hostess had a few more dishes to do that day, and had gone to great lengths to make it beautiful and special, for which we were all so grateful! She made the comment, “If I can’t share my home and decorations with people I love, then why bother doing any of it.” She was leading. She touched our hearts by doing the work, opening her home, and giving us a space to let love linger among and through us. She reminded us that the gift truly is the gathering. I want to encourage you to take the lead today. Plan a gathering for those who God is putting on your heart. It doesn’t have to be fancy or even at your house. It just has to have space in your heart and on your calendar. Show up, set a tone of love and grace, open your heart, eyes, and ears and see what God does. Let your focus be Jesus and one another and I promise you will leave full and blessed. The moments and memories created will mean more than anything you can get wrapped in box, and these moments are so desperately needed right now. Being a part of what I am pretty sure inspired you to write this is so uplifting & encouraging. Thank you. Beautifully written my friend! Hoping and praying that God blesses you with moments and memories this holiday season. I lov this! There is nothing better than gathering around the table with family and friends. We break our bread together and open the Windows to our souls as we share our stories and our love! You are a special blessing and thank you for inspiring me today. Just tonight we sat around another table with neighbors and shared and laughed , gave gifts and thanked each other for the neighborly bond we have. Jesus is the center of that bond. Love you Michele and love what I see in you.. Thank you, Marcia, that means so much coming from you.